YOU: “Hello, I wonder if you can help. We’re looking for a live band for our wedding reception”. Economising is a great idea. Sticking to your wedding budget is also a good idea. Cutting corners by hiring amateurs – not so much. Would you hold your wedding reception at you friends’ house simply because he or she has the space needed to host you and your guests? Would you serve your guests fast food and supermarket drink? Of course not. So when it comes to wedding entertainment, if you do decide to hire friends to play, don’t be surprised if you find yourself having the above conversation while beads of anxious sweat roll down your face. It’s not a good look. 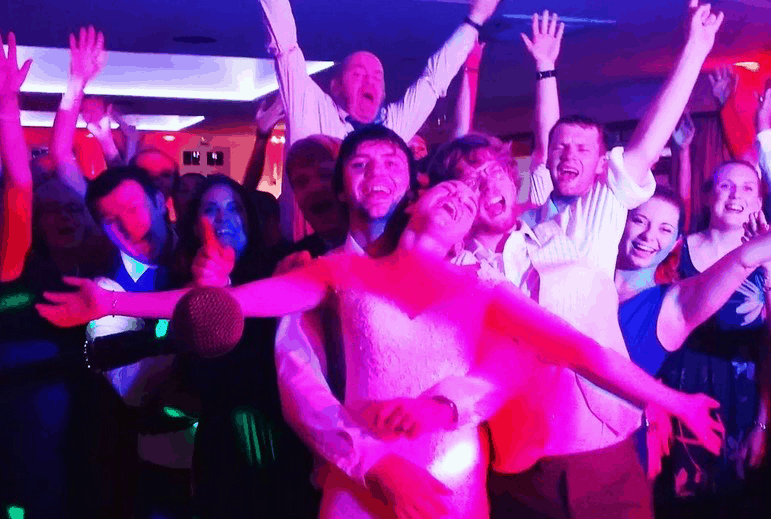 Alternatively, for your 2019 / 2020 wedding entertainment, talk to an entertaining, versatile and reliable professional band with a great reputation – HARD TO HANDLE BAND. Call us direct on 0796 433 5657. We look forward to hearing from you!